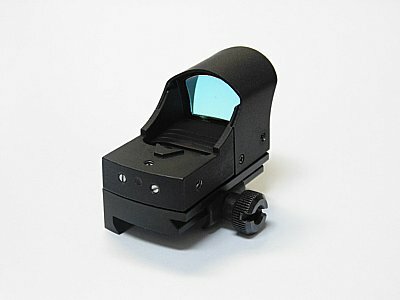 You need an inexpensive red dot sight that does not break the bank. 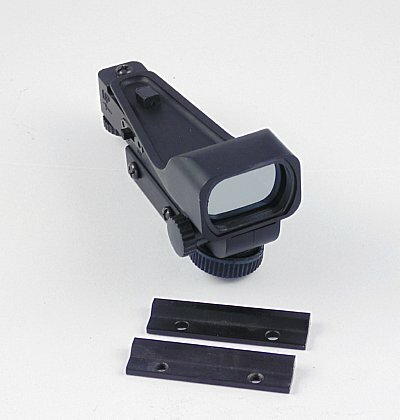 This special priced Quick Aim Swatforce sight fits the bill. 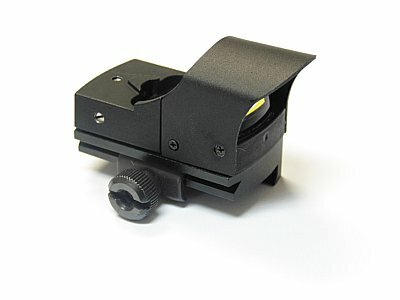 This light weight polymer and metal sight has both windage and elevation adjustment. Designed for light duty, it is perfect for that .22, airsoft and like weapon. Unit is made to fit both Weaver and Dovetail rails with the included base sets. Dot has a light weight polymer top and metal bottom mount. Dot sight can be adjusted for both windage and elevation. Proven system features auto on and off. Removing the cover turns on the unit, replacing the cover turns it off. Dot system mounts to Picatinny or Weaver rail systems. This units small size gives it the advantage when you don't want to clutter up your rail space. Dot is a 3 MOA size, allowing you to easily find the dot and acquire your target. Dot comes with graduated wheel to use when sighting in the dot sight. Parallax Free At appx 50yds. 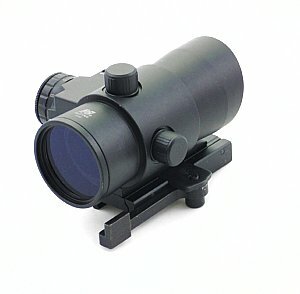 You need a quick acquisition sight for fast target sighting, you also need a laser to get you on target! This is your combo, red laser with quick release mount for Picatinny/Weaver rails. 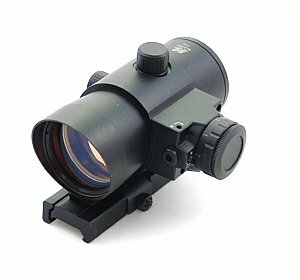 40mm sight offers great visibility. Another tickbitesupply best of items. Pistol, Rifle, Shotgun! This is your red dot! Same as above with smaller objective end! UTG Red and Green variable brightness Red dot scope features built in angled sun shade, see thru integral low profile ring set, and flip open caps! Mounts to Weaver or Picatinny rails. Great new Red Dot! 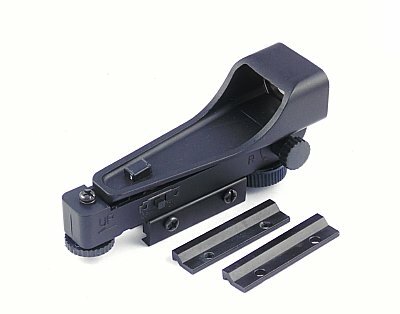 Tactical Red Dot features flip up caps, and includes ring with accessory mounting rails molded into ring. Red Dot has 11 brightness steps to allow brightness adjustment for any light conditions. Fully adjustable for windage and elevation. 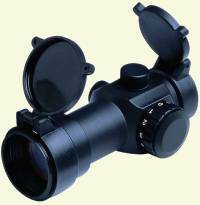 Also includes a removable magnification booster lens to allow either 1x or 1.5x magnification! Perfect for rifles, pistols or shotguns. Included ring mount fits Weaver or Picatinny spec rails.